The Wolf Tooth Boosternator kits are hub specific. They only make them for DT Swiss, Hope and White Industries hubs. 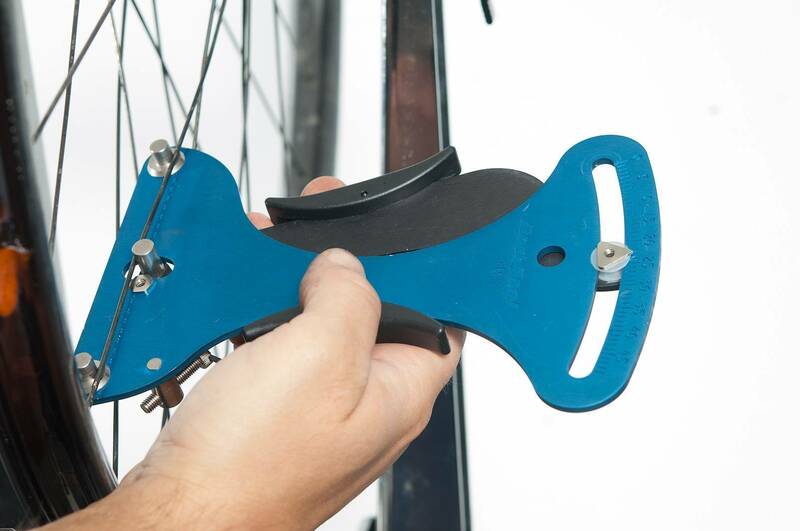 The Problem Solvers kit is a simple washer and rotor spacer that will work with any hub. To start things off, remove your rotor, tyre, and cassette. You can’t just put the washer in-between the frame and the hub, because it will cause the wheel to go out of dish. 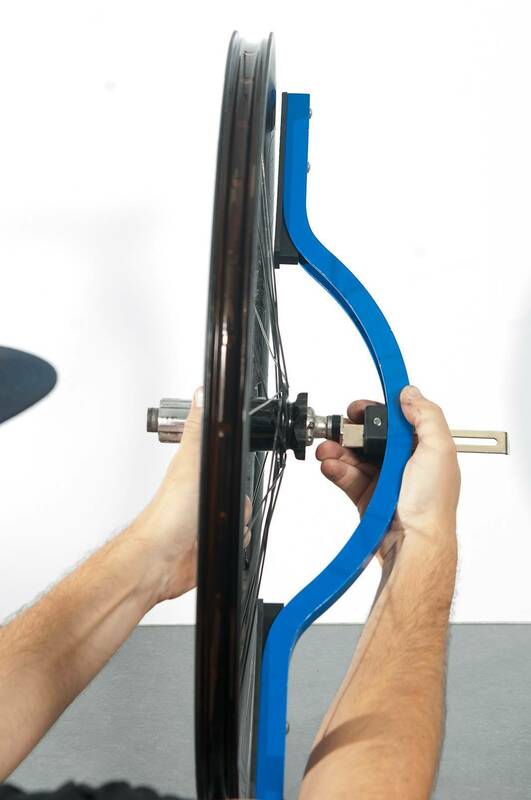 Using a truing stand you will have to pull the wheel over towards the side with the washer. You have to do this by loosening the non washer side and tightening the washer side. 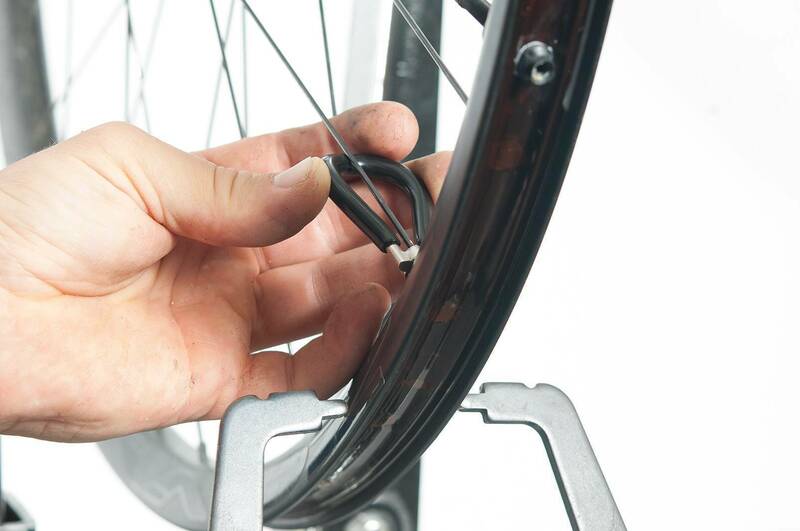 You need to do it by loosening and tightening to avoid putting too much tension on the spokes and rim. Check the dish with a dishing tool, with the washer in place. Check the tension when the wheel is in its new dished position and the wheel is true. Make any adjustments to get things even. Now you need to pop the tyre, cassette and rotor back on. 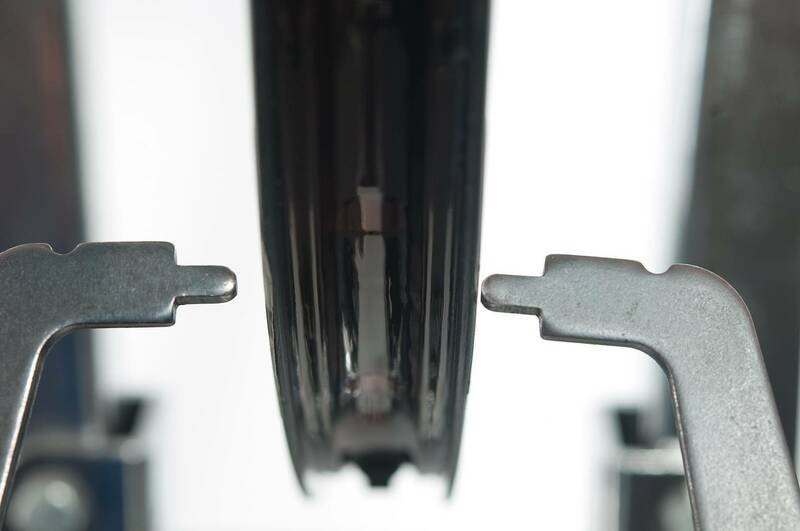 Due to the new spacer, you will have to space the rotor out using the rotor spacer supplied in the kit. You will have to use the longer bolts supplied. Remember to use Loctite on all the bolts. 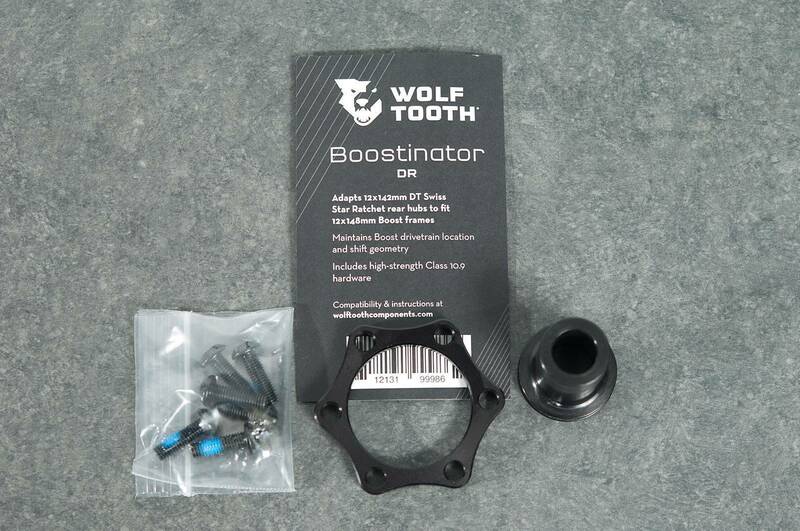 The Wolf Tooth Boosternator kits are a little neater and easier to use as they replace an end cap that is always attached to the hub. You will still need to go through the previous steps to dish and space out the rotor. 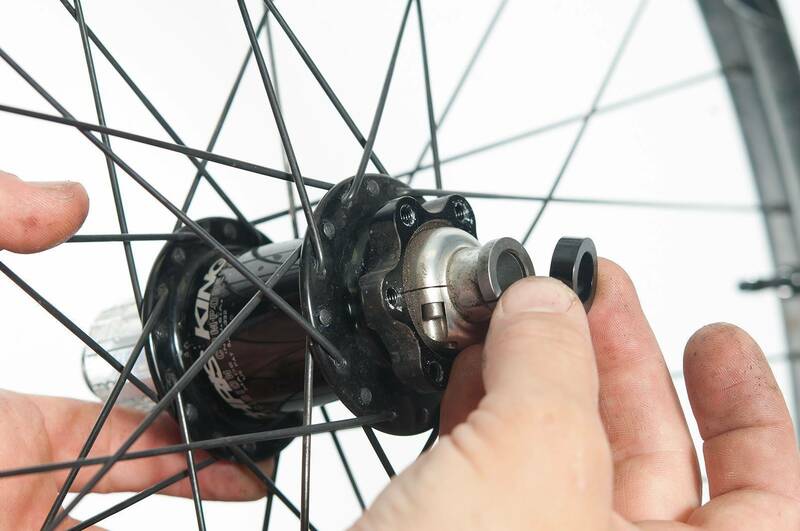 Put the newly formed Boost wheel into your new frame remembering to put the washer between the hub and the dropout on the left hand side. 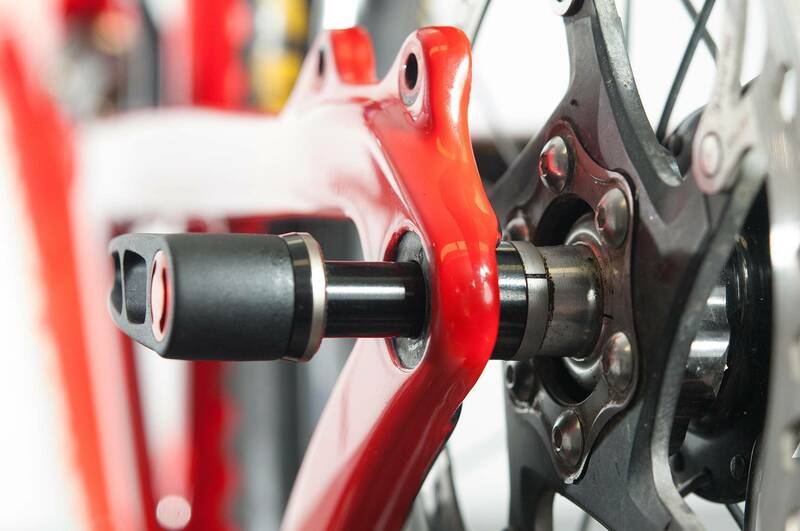 Convert your non-boost MTB hub into boost compatible with this guide! 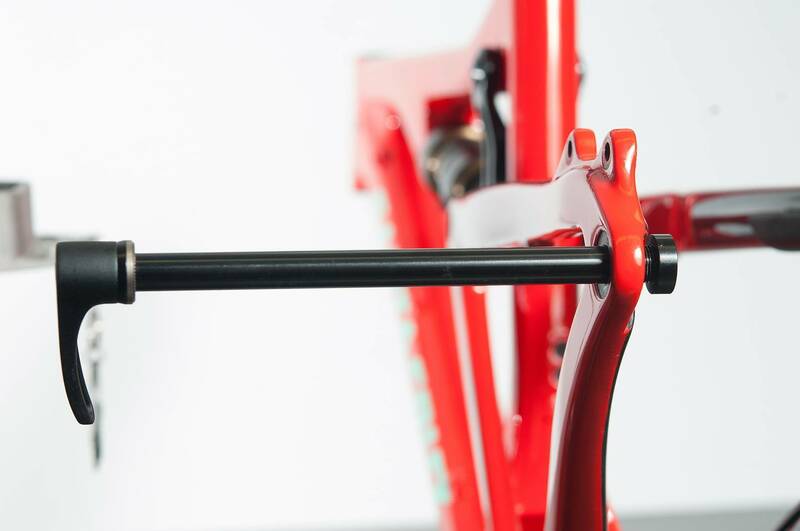 Chances are, if you are going to buy a new bike/frame today, it will be Boost. Boost is here to stay thanks to the advantages in wheel strength and stiffness and how designers can adapt frame geometry. Boost hub spacing in the front has gone from 100x15mm to 110x15mm, and rear has gone from 142x12mm to 148x12mm. Manufacturers have done this to open up more options for tyre, and chain ring clearance as well as advantages when deciding on geometry. 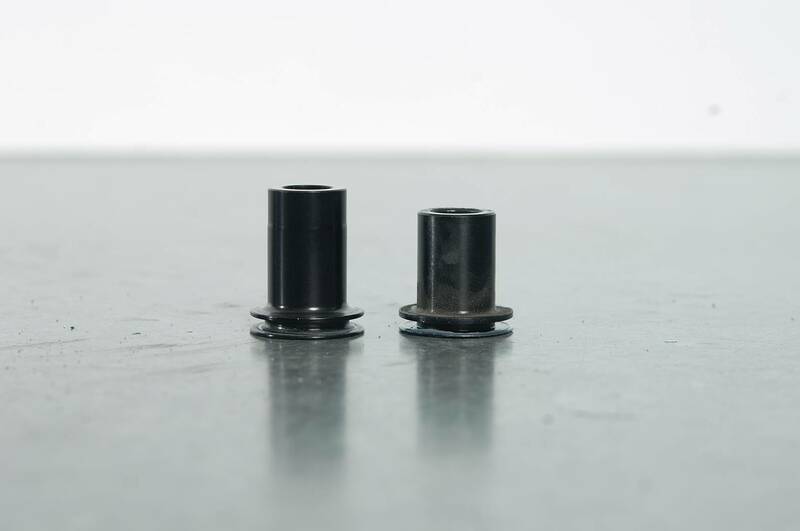 Boost hubs also build up a stiffer and stronger wheel due to being wider. This is all well and good, but you probably have a perfectly fine set of wheels or hubs in your current bike. 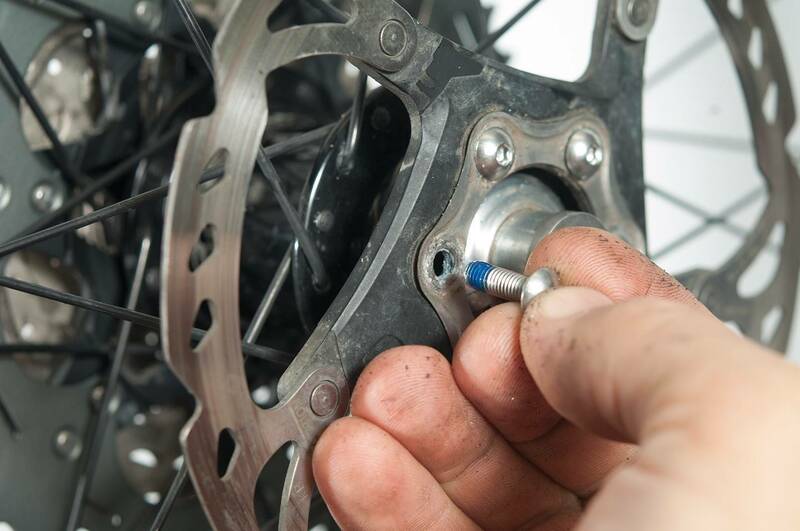 Luckily there are a few options to convert your non-Boost hubs to Boost. In this example we are going to use a Problem Solvers and Wolf Tooth kit. 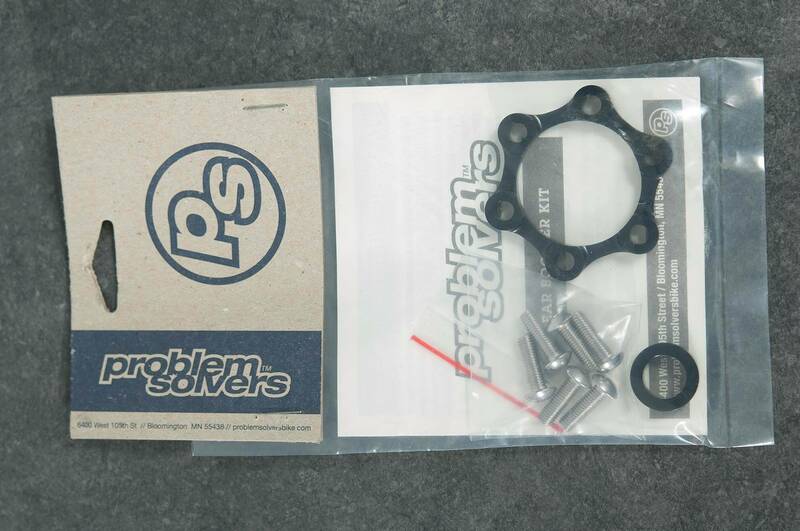 The Problem Solvers kit is a simple washer and rotor spacer that will work with any hub. There are a few options for front hubs as well. Some you won't have to dish the wheel, so you don’t. 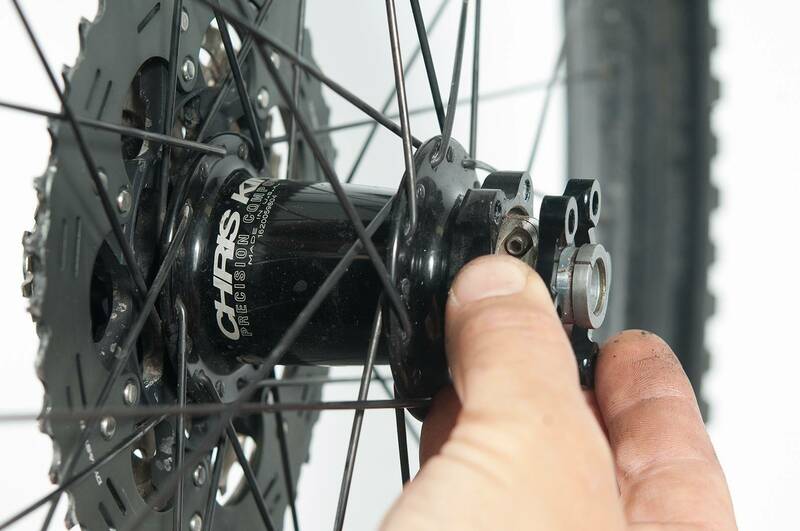 If you do need to re-dish the wheel, just follow the steps for this rear wheel article. Again, Problem Solvers and Wolf Tooth make kits for front hubs as well. Click through the gallery above for the step-by-step guide.